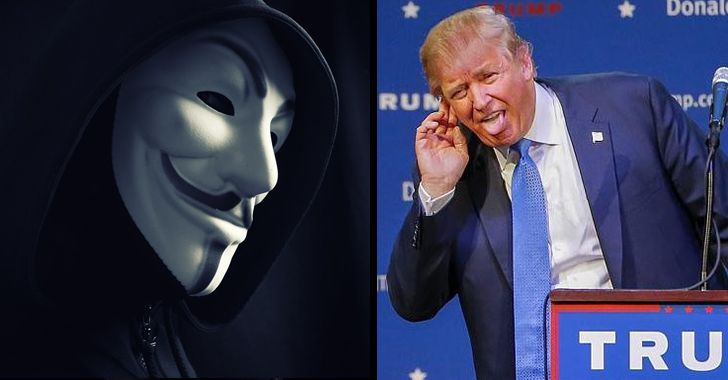 Anonymous claims they Hacked Donald Trump ...Really? The 'Hacktivist' collective group Anonymous claimed to have leaked personal details of the controversial US presidential candidate Donald Trump, including his Mobile Phone Number and Social Security Number (SSN). The hacktivist group has declared war against Trump under a campaign with the hashtag #OpWhiteRose. The White Rose Society was a non-violent resistance group in Nazi, Germany and was known for its anti-Nazi pamphlets and graffiti during World War II. "Donald Trump has set his ambitions on the White House in order to promote an agenda of fascism and xenophobia as well as the religious persecution of Muslims through totalitarian policies. He has proposed targeting family members of suspected terrorists for assassination, even while acknowledging they are innocent. It would only lead to more violence from those whose families were killed by the Trump regime. Donald Trump is an enemy of the constitution and the natural rights it enshrines. We call on all of you and millions of others to take action against Donald Trump." The hacker collective group also released what it claimed was Trump's personal details, including cell phone number and Social Security number. Besides his personal details, the group also released Trump’s public information including his birth date, children’s names, and company address in addition to the identities of his agent and lawyer. However, most of the information provided by Anonymous has been circulating on the Internet since at least late last year, including his New York cell phone number and an address on 5th Avenue in Manhattan. "The government and law enforcement authorities are seeking the arrest of the people responsible for attempting to illegally hack Mr. Trump's accounts and telephone information." Soon after posting the video, Anonymous issued a follow-up tweet, saying "Seems to be outdated information, take it with a grain of salt." This is not the first time the group has declared war against Trump. Last December, Anonymous declared war against Trump following his radical speech stating he wanted to ban Muslims from entering the United States.